As a development-oriented company we are driven by customer needs, and delivering concrete results. 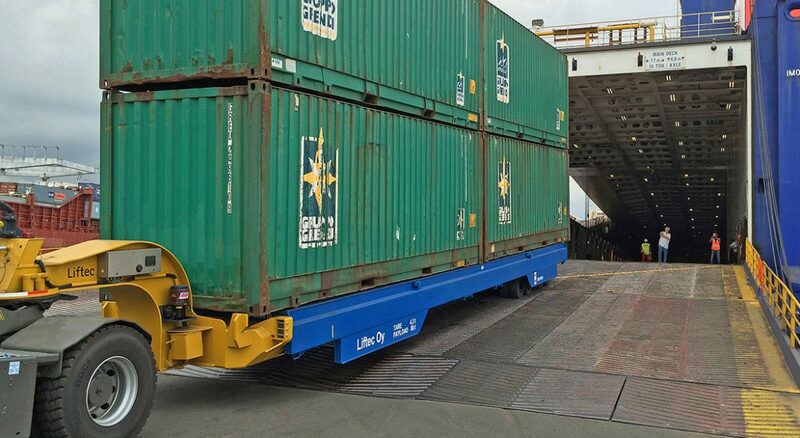 The Liftec self-loading cassette system provides an effective and economical solution for RORO operators. It can increase capacity significantly. 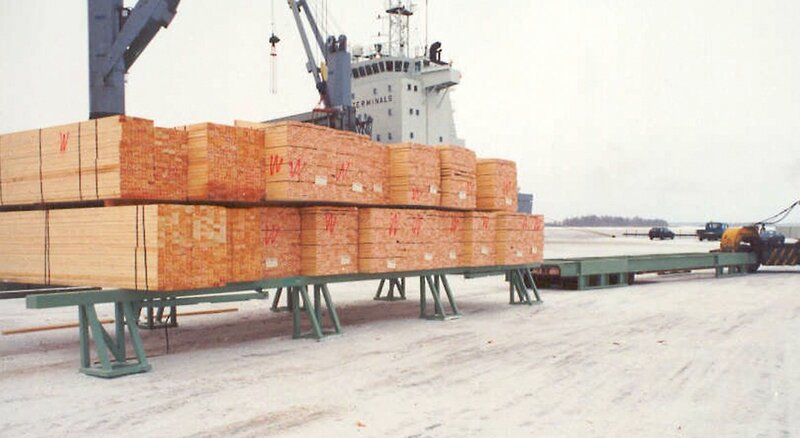 Before the ship arrives at terminal, cargo is placed on cassettes, covered and secured. Loading can start immediately when the ship arrives. The cassette system also has higher loading capacity than any other handling method. This leads to significantly shorter turn-around time in the port. Time saved can be utilized for slower speed during voyage, which dramatically reduces fuel costs. The high loading capacity of the cassette system is based on a high payload on the cassette, reduced or no lashing at all on board, and safe and carefree operation thanks to brakes, good stability and excellent maneuverability of the translifter. The cassette system is based on block stowing where cassettes are stowed tightly side-by-side. Block stowing can increase the vessels’ capacity up to 20%. Another benefit of block stowing is that block stowed cassettes support each other and lashing is unnecessary. 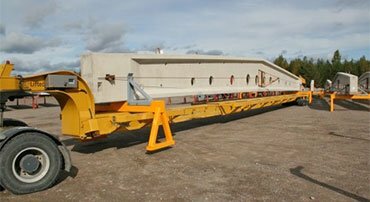 This reduces the labour needed for loading and unloading. Empty cassettes can be stacked on top of each other, which saves space both inside a vessel and also in the terminal area. Cassettes have no moving or wearing parts such as tyres or bearings so there are practically no running and maintenance costs. High utilization of deck area means fewer voyages for cargo flow. Short turn-around time at harbor means more time and less speed for the sea voyage. 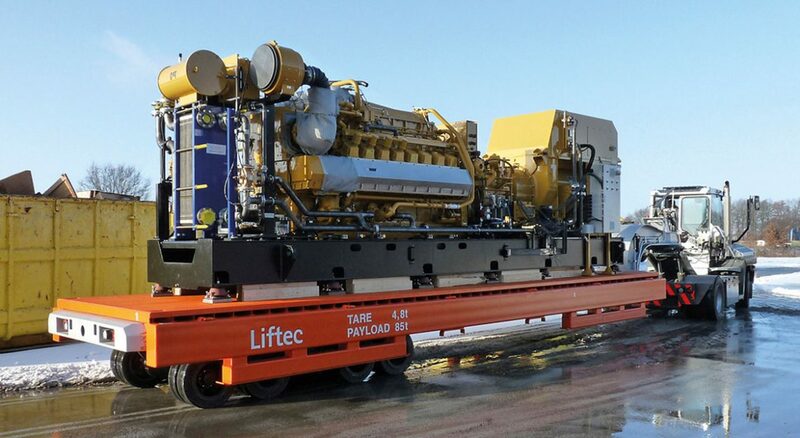 These result in up to 30% reduction in fuel consumption and emissions per tons of transported cargo. For further details, please read a research report about cassette system’s carbon emission compared to roll trailer system’s emissions. The report is made by VTT Technical Research Centre of Finland. 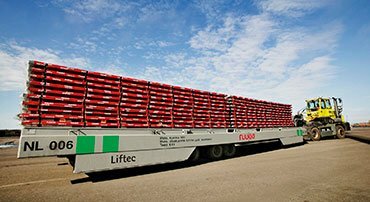 The Liftec self-loading cassette system eliminates waiting times in horizontal transports and keeps the driver always on the move. This makes it possible to cut down the number of equipment and operational costs even by 75 %. The cassette system suits extremely well for operations in logistics parks, customs inspection sites, rail terminals and with RMG cranes. The cassette works as a detachable transportable steel platform that safely supports the containers, which can be stacked and quickly transported in variety of configurations. The key innovation in this field is the implementation of the container cassette as a floating buffer between container cranes and all horizontal transportation, i.e. 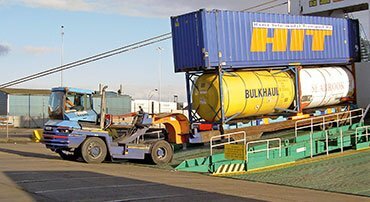 the vehicles transporting the container to or from the road or rail carrier. Using this system, the containers are disconnected from the equipment moving them, leaving the cranes to work without stopping. 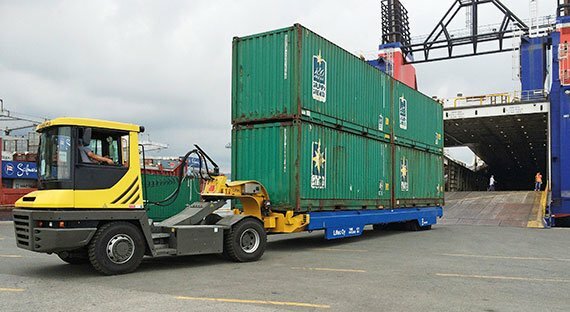 Transport vehicles can pick up, transport and drop off cassettes without waiting for a container to be loaded or unloaded. 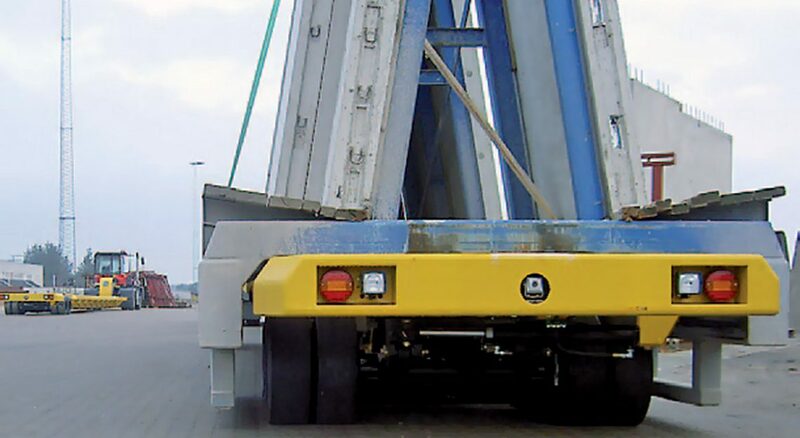 For port operators the Liftec self-loading cassette system offers improved safety and lower operation cost for all cargo handling needs. The robust cassette is an excellent platform for warehousing heavy goods, and the translifter with high payload makes it easy to transport heavy cargo safely. The cassette is a good and cost efficient method for warehousing cargo in terminal. Cassettes do not have any moving parts and they tolerate rough handling. The high transport efficiency of a translifter makes it possible to locate the warehouse relatively far away from the quay, freeing up the most expensive area of the port. Also, there will be less handling damages and costs, as the cargoes do not have to be lifted on and off the ground in the warehouse. 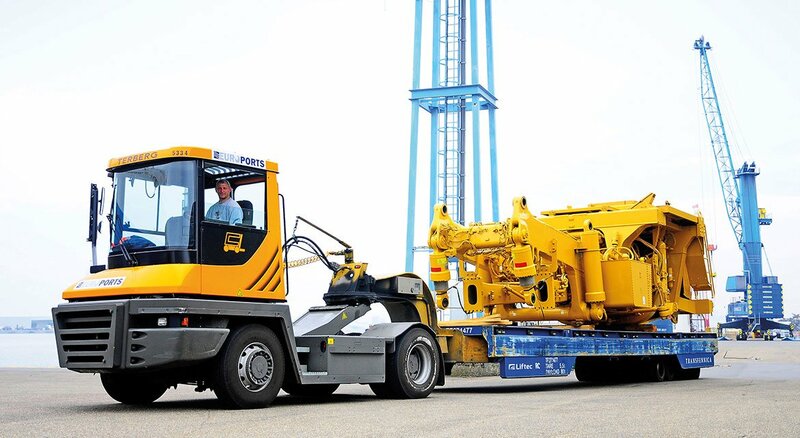 Components up to 200 tonnes can be safely handled with the cassette system. Odd size components are often difficult to handle, so keeping them on the cassette saves on work and reduces handling damages. The cassettes do not have axles that can be damaged when heavy components are loaded. The cassettes also do not have tires, which go flat when load stays on for a long period of time. The cassette system is well suited for StoRo handling. Cargo can be placed on a cassette as soon as it arrives to the terminal, thus reducing unnecessary moves and handling damages. Robust and wheelless cassettes tolerate rough handling. 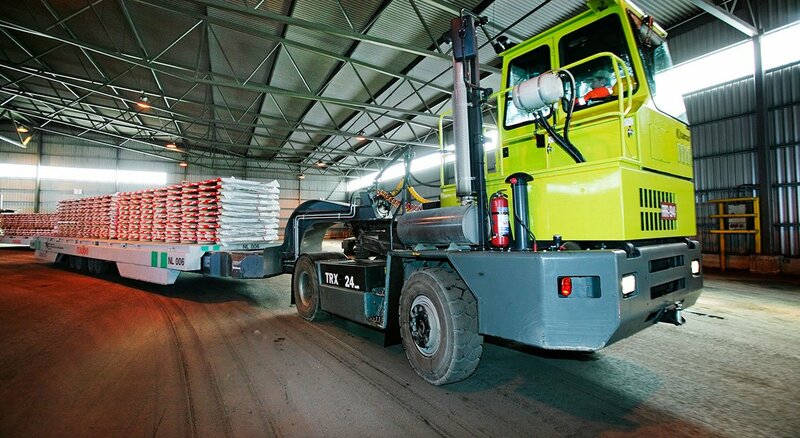 In sawn timber transport, translifters have ten times better efficiency than a forklift truck. This significantly reduces equipment and labour costs. High transport efficiency also makes it possible to move the sawn timber warehouse away from the quay freeing up the most expensive area of the port. 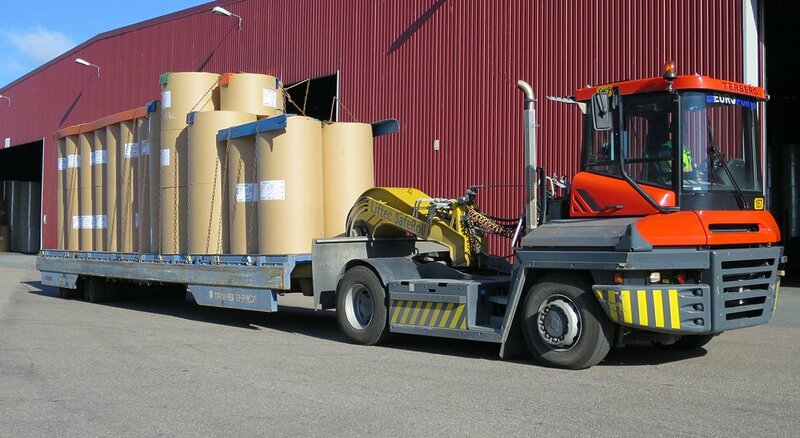 Pulp bales can be effectively warehoused and transported with the cassette system. Cassettes can be equipped with walking platforms, making stevedores’ work safer. 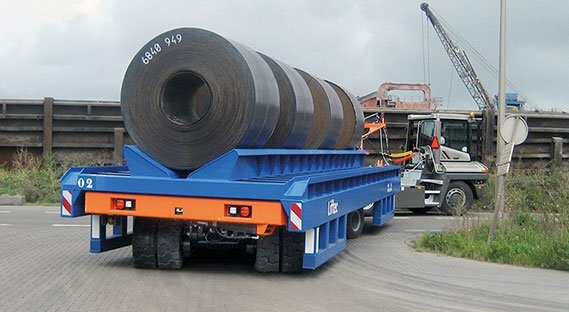 The Liftec self-loading cassette system is the most cost effective method to transport various steel mill products. The cassette system enables continuous operation with high transportation capacity. The transport efficiency is excellent and the investment and operation costs are low. 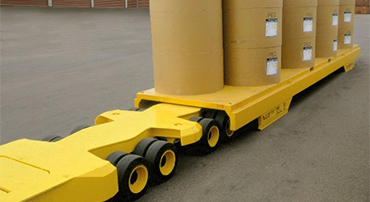 Translifters can be used to carry steel coils, plates, slabs, bars, melting pots and any other heavy material. Cassettes can have special cradles for coils or they can be made to tolerate extremely hot temperatures. With the cassette system, slabs with temperatures up to 850 °C can be transported efficiently and safely between processing points. Cassettes can be used for buffering or warehousing. For hot slabs, special thermo cassettes can be used and thermo covers can control cooling of the slabs. Transport capacity is up to 800 tonnes per hour in 1 km distance. The cassette system is the most economical solution for continuous transport operation in the steel coil industry. Cassettes are equipped with coil cradles, which hold the coils in place without additional lashing. 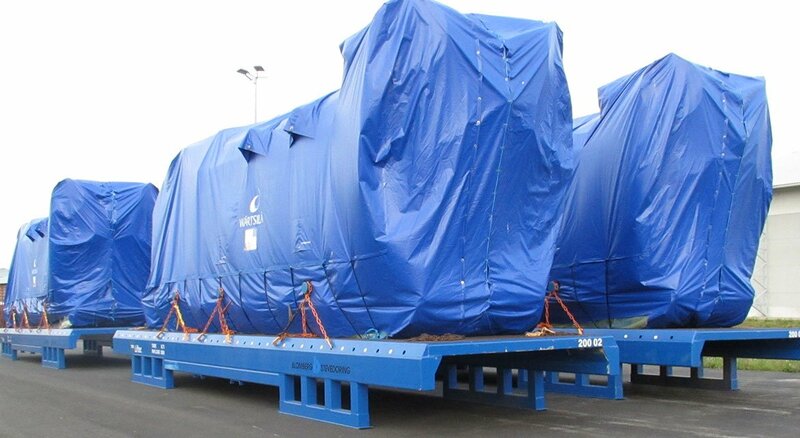 Transport capacity is up to 800 tonnes/h in 1 km distance. 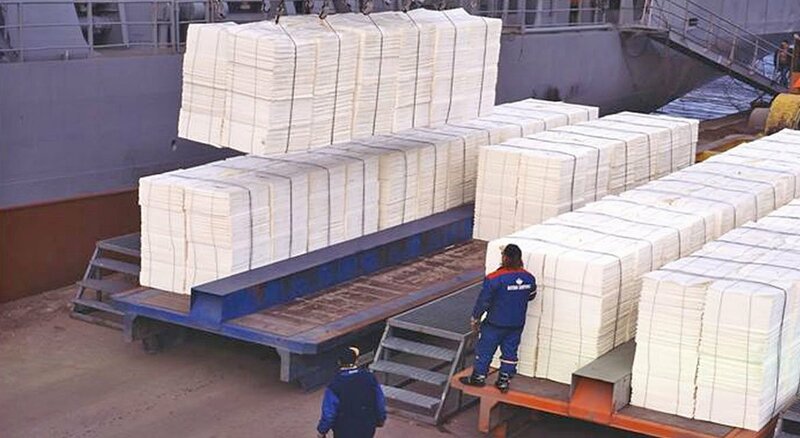 The cassette system offers a flexible platform to transport steel sheets and plates with the possibility of easily arranged intermediate storage between the processing points. Sheets or plates can be easily secured on cassettes and cassettes can be utilized for intermediate storage, reducing handling damages. Cranes are not needed in the storage area. 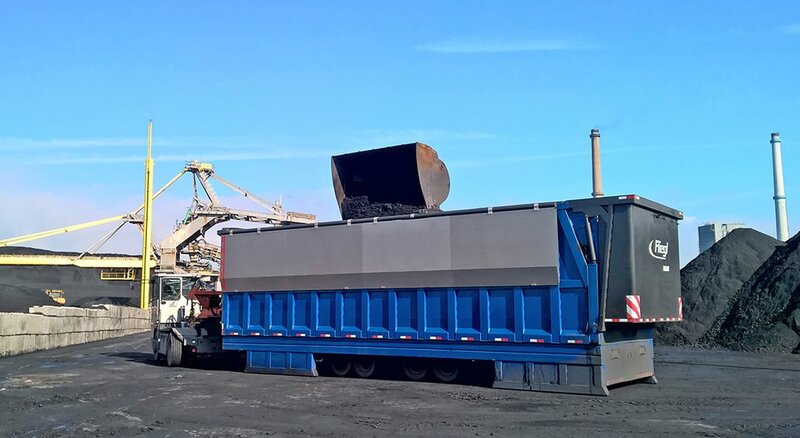 We can offer durable non-tipping and tipping solutions for scrap material handling with easy material flow monitoring. Scrap cassettes are designed to tolerate rough handling. Translifters can be equipped with a high-precision scale to help monitor material flow, there is no need of separate weighing stations. 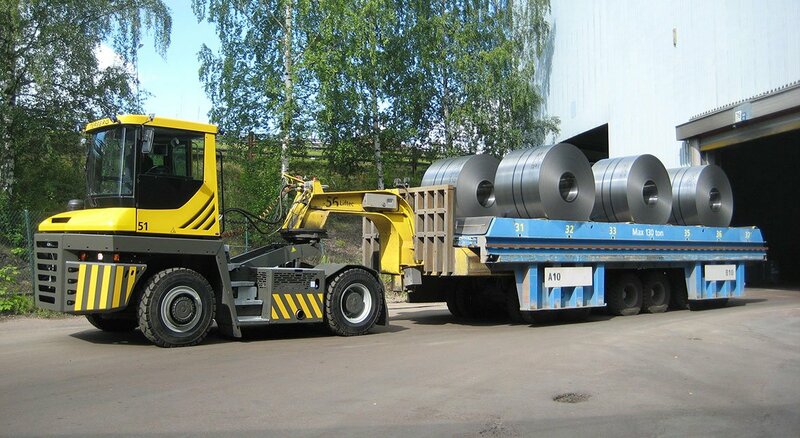 Tipping cassettes can be used for easy unloading of scrap material.  For the purpose of other material handling and mill service transports in metal production environments, we can provide special cassettes to be used with standard translifters, like cassettes for long products, ingots, steel casts and other forms. Tailored cassettes secure the loads safely. 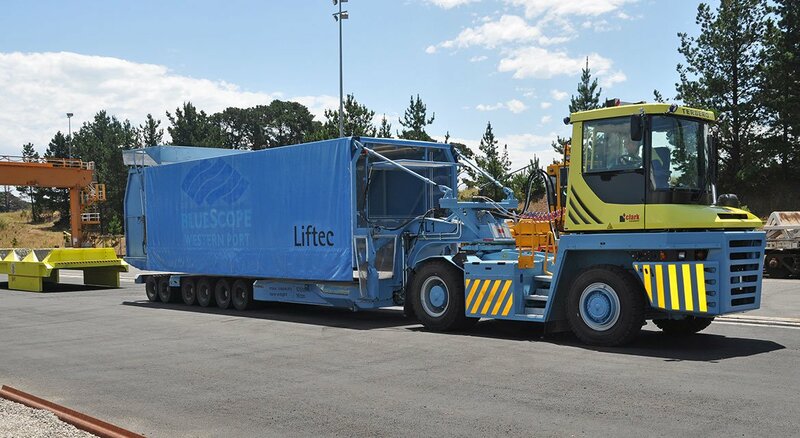 The Liftec self-loading cassette system is an ideal solution for factories that manufacture big and heavy machine components, or steel structures such as windmill components, cranes, big diesel engines or bridge elements. A component can stay on the same cassette during the entire manufacturing process and it is easy to move it from one process point to another without expensive crane lifts. Cassettes can also be used in a paint shop and heavy material can be stored on cassettes even for a long time. 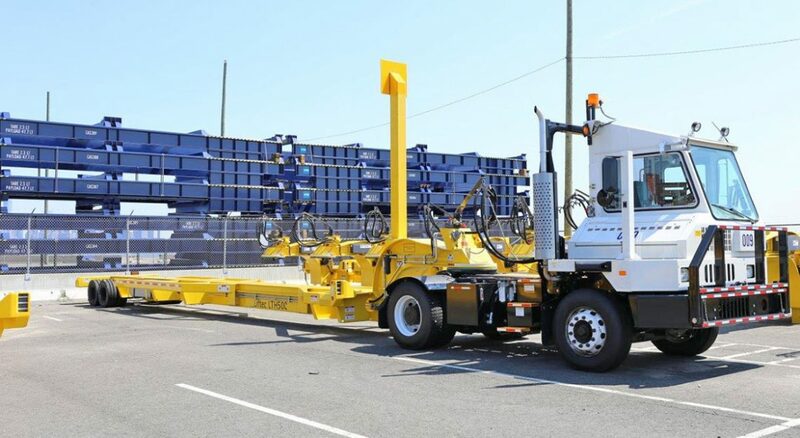 Cassettes and trestles can be loaded and unloaded independently of the translifter, creating a system of good efficiency. Cassettes and trestles can be designed according to the requirements of the cargo: they can for example be equipped with load supports. This improves efficiency and safety and minimizes the risk of human errors in securing loads and reduces damages of the cargo. The translifters are robust and durable, constructed with heavy duty components. They require minimal maintenance, which makes them a very economically sound investment. 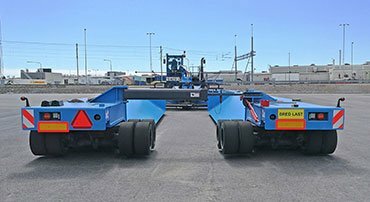 The cassette system with a high payload and agile and easy to use translifter often offers great improvements to challenging transports at a lower cost.